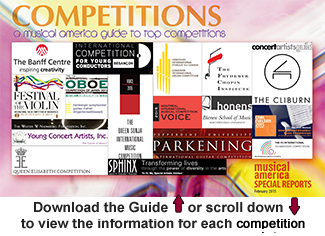 We narrowed down the nearly 500 competitions in the Musical America database by reviewing prize winnings, missions, disciplines and industry profiles. We then asked the remainder about their purposes and backgrounds, non-cash prizes (such as performances), artistic disciplines, eligibility guidelines, jury chairs and whether they were open to the public. On another note, rarely is a competition winner the unanimous choice among judges; rarer still does the audience agree with the jury’s decision. We asked author, pianist, and well-travelled jury member Stuart Isacoff to write about his own experiences behind closed doors (see Confessions of Seasoned Jurist) and to discuss some of the different ways competitions are judged (Competition Judging: Keeping Evil out of the Jury Room). The AMP celebrates fosters and creates extraordinary opportunities for new orchestral works on a Jewish theme. 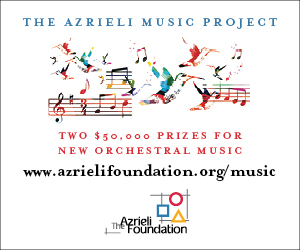 There are two prizes: The Azrieli Prize in Jewish Music (international, works composed after January 2005) and the Azrieli Commissioning Competition (Canadian residents, proposals for new works). The Cleveland International Piano Competition and Festival consists of four rounds of performances, symposia, films, and social events, offering something for casual listeners and music aficionados. Finalists perform concerti with The Cleveland Orchestra, an experience unmatched by other competitions and one afforded to only a few pianists in the world. Oberlin Conservatory of Music and the Cleveland Orchestra collaborate on this international competition for musicians ages 13 to 18, which alternates annually between violin and piano. The Forte International Music Competition is open to piano, strings, woodwinds, brass and vocalists, ages 4 to 35. It consists of three rounds, with the final round of the competition taking place at Carnegie Hall. Participants receive valuable feedback and are also rewarded with certificates, cash prizes, and other awards. The competition was established in 1927 and runs every five years. 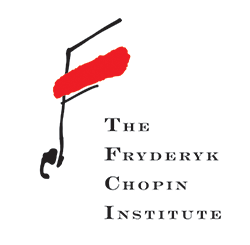 Five previous Chopin Competition winners will serve on the 2015 competition jury. The mission of the MIMC is to discover and support young singers, violinists and pianists who demonstrate exceptional mastery of their art. Since its first edition dedicated to voice in 2002, more than 2,300 hopefuls have entered the competition and nearly 400 have performed in Montreal. The Wilson Center Guitar Competition & Festival is an annual, multi-genre competition featuring four different categories: Rock/Blues, Fingerstyle, Jazz, and Classical. Four competitions, one festival! The Competition is open to all ages and the contestants compete for $22,000 in prize money. The 2015 Festival will take place during the Competition semifinal and final rounds, August 13 to 15. Competition is open to extraordinary pianists with the potential to make strong contributions to the music profession in general and jazz in particular. More than 1,000 pianists from 40 countries have competed in the Gina Bachauer International Piano Competitions All candidates for the Competition are accepted through a live audition at a selected worldwide site of their choice Also each person selects their own repertory for audition competition rounds and finals. Since 1983, BISQC has celebrated the art of chamber music while providing career support for emerging string quartets. The 2016 competition will continue this experience allowing for an unprecedented number of public performances and an exploration of a wide variety of music creating a festival atmosphere. Gawon International Award has been awarded since 2005 to a promising young pianist. The applicant must be able to demonstrate superb potential achievement in piano, such as exceptional recommendations from acclaimed musicians and awards at international competitions. The Michael Hill is known for the genuine care it shows all its participants. Professional development is provided to all competitors. First prize winner receives $7,000 US plus summer scholarship, return engagement with Hilton Head Symphony Orchestra and other performance opportunities. Founded in 1959 by Gina Gambini, the piano competition Ettore Pozzoli is a famous biennial event that pays tribute to the great teacher and composer (Seregno, 1873-1957). This is the sole classical vocal competition in the Netherlands that involves opera and oratorio, as well as art song for singer/pianist duos. Much attention is paid to 20th-century and contemporary music. Highlights include finals with symphony orchestra, master classes, media training, feedback from jury members, career development, possible travel reimbursement, and accommodation at host families. A performance-inspiring experience, the competition offers participants performance opportunities as well as a chance to meet and be mentored by major artists. Contestants are hosted and celebrated regardless of competition results. Programming must show a balanced representation of major works by Franz Liszt, American compositions, and traditional repertory. A unique international theater singing contest that emphasizes wide-ranging repertoire and the acting of songs and arias within a dramatic context. The competition recognizes talented young singer/actors who are dramatically and musically convincing in repertoire ranging from opera/operetta to contemporary Broadway, including the works of Kurt Weill. Since 1980, the Skokie Valley Symphony Orchestra has sponsored a competition to encourage and promote talented student musicians. Past winners hold positions with the major orchestras of Chicago, Cleveland, and Minnesota, and with Yo-Yo Ma's Silk Road Ensemble. Music Teachers National Association is a nonprofit organization of nearly 22,000 independent and collegiate music teachers committed to furthering the art of music through teaching, performance, composition and scholarly research. Founded in 1876, MTNA is the oldest professional music teachers' association in the United States. In October 1987, French contralto Nathalie Stutzmann won the first Neue Stimmen European singing contest. Over the past 25 years, Neue Stimmen has grown into an internationally acclaimed competition with preliminary auditions held around the world and a recognized program of master classes in opera and lieder singing. A first in the world of competitions and a unique feature of the NYIPC, no participant is eliminated during the competition's four rounds. The Foundation also presents a cash award to each of the contestants not receiving a major prize. The NYIPC includes seminars, master classes, and ensemble playing. The Parkening International Guitar Competition honors Christopher Parkening's lifetime commitment to fostering musical excellence in young artists as demonstrated by his mentor the great Spanish guitarist Andrés Segovia. It is held on the beautiful campus of Pepperdine University in Malibu, CA, where Christopher Parkening is distinguished professor of music. The Queen Sonja International Music Competition is one of the world's leading voice competitions. It takes place every other year in Oslo and is open to singers from all over the world. The main goal of the competition is to assist the career development of talented young singers. The competition welcomes young pianists from the world over who pursue the musical ideals espoused by the late Mme Rosalyn Tureck. It consists of eight categories divided by repertoire difficulty. A competitor may compete in up to three categories and is required to perform a contemporary work. Begun in 1997 following a bequest to the Allentown Symphony Association from Edwin H. and Leigh W. Schadt, the competition alternates annually among violin, cello, and classical guitar. The first prize includes a cash award of $8,000 and a solo concerto engagement with the Allentown Symphony Orchestra. Established in 1975, the Stulberg is one of the longest-standing string competitions in the country. Its uniqueness stems from its focus on young string musicians, its strong reputation, and the high caliber of judges. The University of Louisville Guitar Festival and Competition welcomes a roster of top-rate guitarists, devoted students, and casual enthusiasts for intensive study and artistic development. The competition includes free-choice repertoire for all rounds. Works may be repeated in multiple rounds. Time limits vary between 7-15 minutes between rounds. To encourage and promote young pianist with an opportunity to play with an orchestra, give recitals and win cash prizes. Please visit our website for more information on prizes, winner's recitals and application. Founded in 1935, this violin competition is the oldest in the world, boasting prize winners such as Ginette Neveu, David Oistrakh, Igor Oistrakh, and Charles Treger. Honorary Chairman: Krzysztof Penderecki. Preliminary selection will take place live: Maxim Vengerov will listen to the candidates in different locations in Europe, Asia and North America.